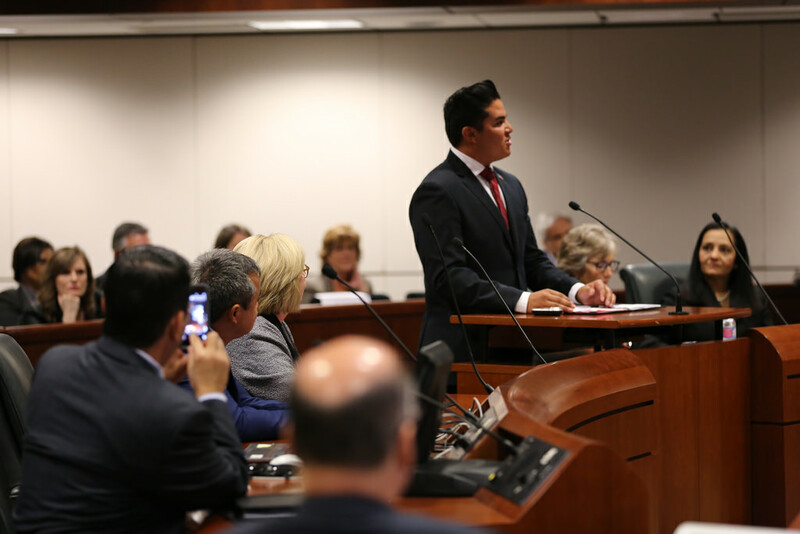 Christian Nuñez, a senior at Brawley High School, tells the council how civic involvement has enhanced his leadership skills. Administrative Presiding Justice Judith McConnell of the 4th District Court of Appeal opens the presentation to the council on the Power of Democracy—a body co-created by the Chief Justice to strenthen the bench's civic learning partnership with state public schools. SAN FRANCISCO—At its public meeting on April 15, the Judicial Council changed court rules and forms to implement reforms targeting those coming to family and juvenile courts. One action dealt with the implementation of a new law that changes the requirements for court authorization of psychotropic medication for foster children. Another action dealt with rules and forms to facilitate the sealing of juvenile records, including a requirement to eliminate sealing fees for petitioners under 26 years of age. The council also approved nine recommendations to update a funding methodology that affects how money is allocated throughout the state to pay attorneys representing dependents in court, holding back one recommendation for further study. Fifteen speakers representing dependency counsel spoke up in support or opposition to the changes, but all agreed on one thing: The state budget does not provide enough money to reduce caseloads for those attorneys representing parents and children in dependency proceedings. These actions were preceded by a moving report on the Chief Justice’s Power of Democracy committee, a statewide initiative to promote civic learning for California's K-12 students. 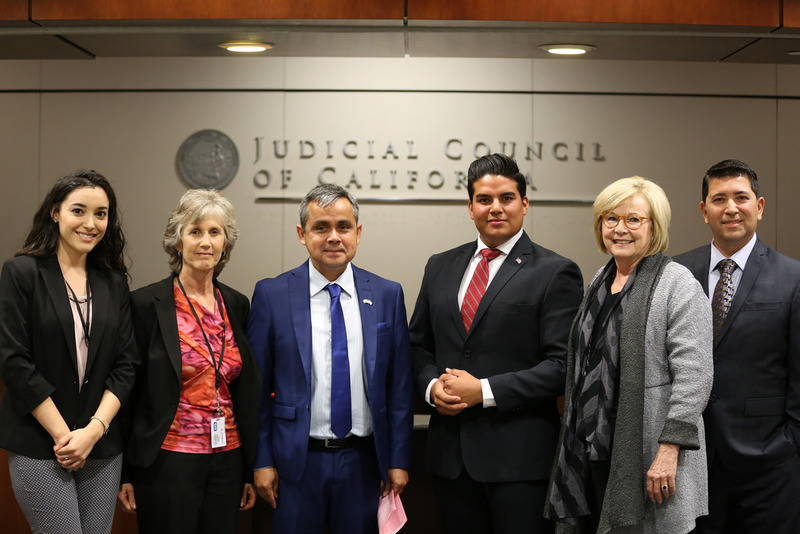 Administrative Presiding Justice Judith McConnell of the 4th District Court of Appeal appeared with representatives from Imperial Valley’s Brawley High School—including a student, a civics teacher, and the school superintendent—to speak about how civic engagement changed their school and their community. 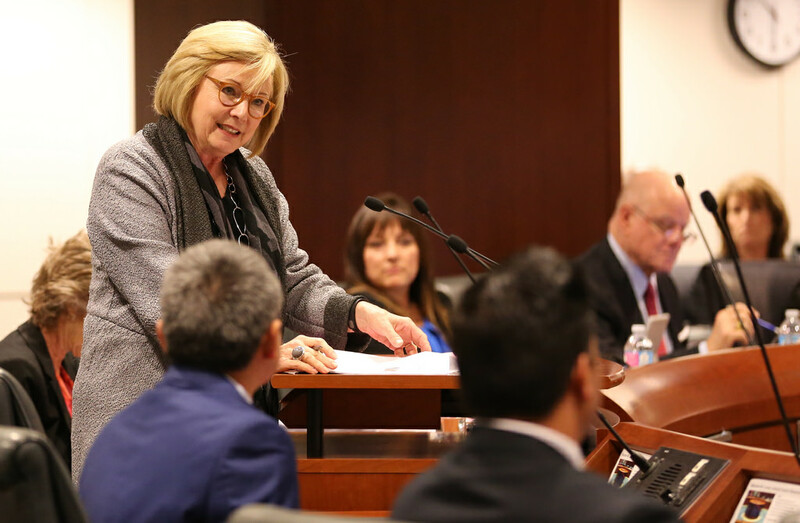 In another presentation, the council heard about Ventura County’s successful pretrial release program for deciding when and how to set bail for criminal defendants or release them without bail or with conditions. Ventura Superior Court and probation representatives explained how their evidenced-based, risk-assessment program works and highlighted the program’s results in its first two years (2013‒2015). Of the 339 defendants released on pretrial supervision, 94% remained arrest-free while awaiting trial. In addition, 86% of those defendants appeared as directed, as opposed to 81% of defendants who were released via the traditional bail process.